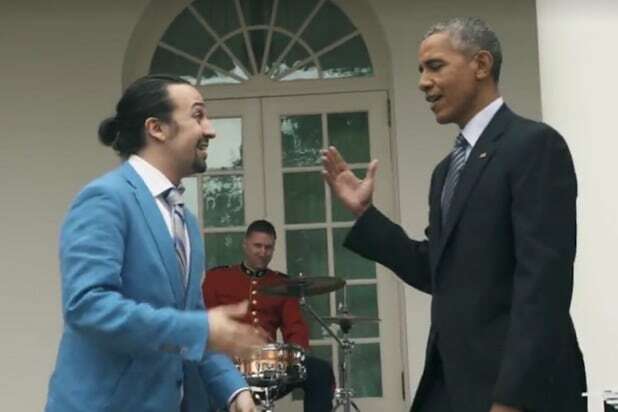 The already packed “DuckTales” just got even larger with the addition of “Hamilton” creator and star Lin-Manuel Miranda. Disney XD — which is spearheading the reboot of the classic animated series — announced Friday that Miranda will be joining the voice cast as fan-favorite character with a Latino twist. 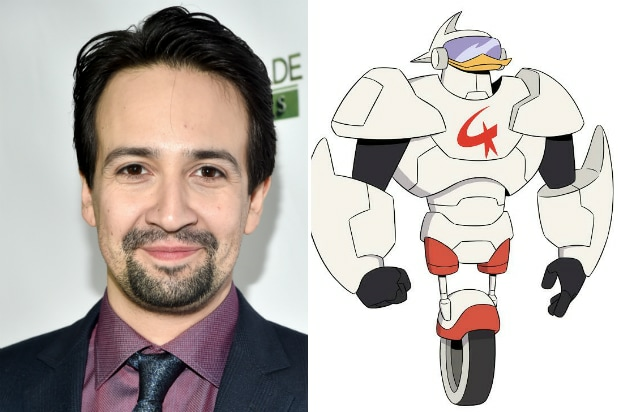 Miranda will be playing Gizmoduck, aka Fenton Crackshell-Cabrera — a superhero who protects Duckburg, but also spends his days as an intern for Scrooge McDuck’s personal mad scientist, Gyro Gearloose (in the original series, he was McDuck’s accountant). “Growing up as a Cuban-American comics enthusiast, I was always hungry for a Latino hero to call my own. In developing the new series, Matt and I leapt at the opportunity to adapt ‘DuckTales” marquee hero into a young scientist character with Latin-inspired roots,” co-producer and story editor Francisco Angones said. When developing the character, the creators thought of Miranda immediately. “His rapid-fire earnestness paired with his wide-eyed yet determined optimism made him the perfect person to yell ‘BLATHERING BLATHERSKITE! '” said executive producer Matt Youngberg. Miranda is already joining a star-studded voice cast, which includes David Tennant (“Doctor Who”) as Scrooge McDuck; Danny Pudi, Ben Schwartz and Bobby Moynihan as Huey, Dewey and Louie respectively; Kate Micucci as Webby Vanderquack; Beck Bennett as Launchpad McQuack and Toks Olagundoye as Mrs. Beakley. Miranda is a lifelong “DuckTales” aficionado. He even took to Twitter last year to sing the praises of the “DuckTales” video game music. “DuckTales” is a classic Disney animated series that ran from 1987 to 1990 that follows the adventures of billionaire Scrooge McDuck and his three grandnephews, Huey, Dewey and Louie. Probably even more popular than the series itself is the theme song, which the new cast did a rendition of to announce their involvement.